Merry Christmas eve from the Meyer Newport household! We have an incredible oven here in North Freo and Tim has really taken to baking. No complaints here whatsoever! And he’s damn good at it. 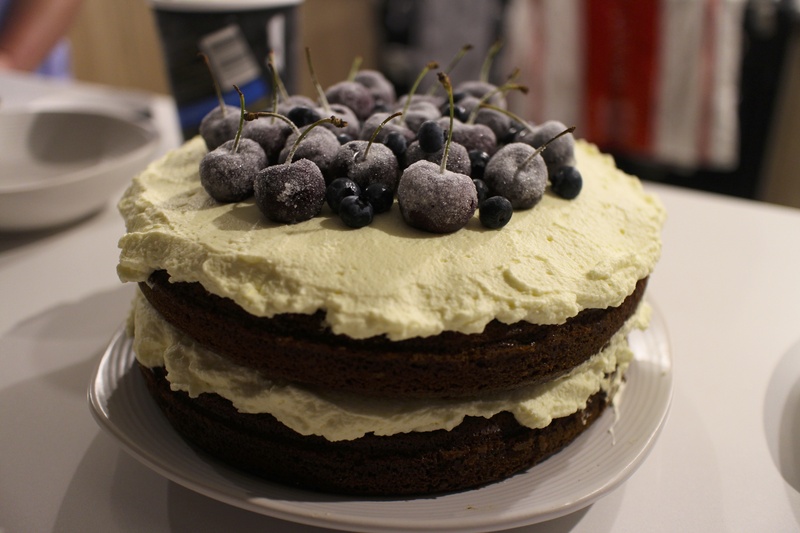 You’re looking at our Christmas cake…ginger cake with sugar dipped cherries and blueberries on top. He’s too good that one! This entry was posted in North Fremantle and tagged Cake, Cake Cake Cake, Ginger Cake, Mr Tim. Bookmark the permalink.